Add free and premium extensions to have additional modules and styling options available in the page builder. When you purchase the extensions pack, you will receive an email with the download link. In the case you didn't received the email (spam filter), you still can download the extensions from our website. 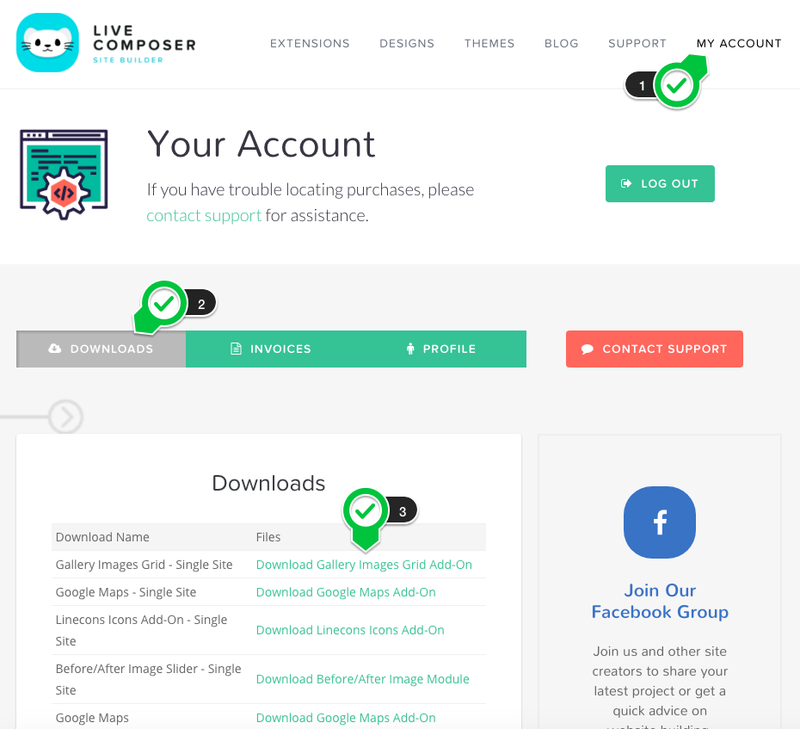 If you didn't create an account on our website, you still can do the registration on this page: https://livecomposerplugin.com/account-login/register. Make sure to use the same email used to buy the extensions pack. All your downloads, updates and invoices will be available via private account page.